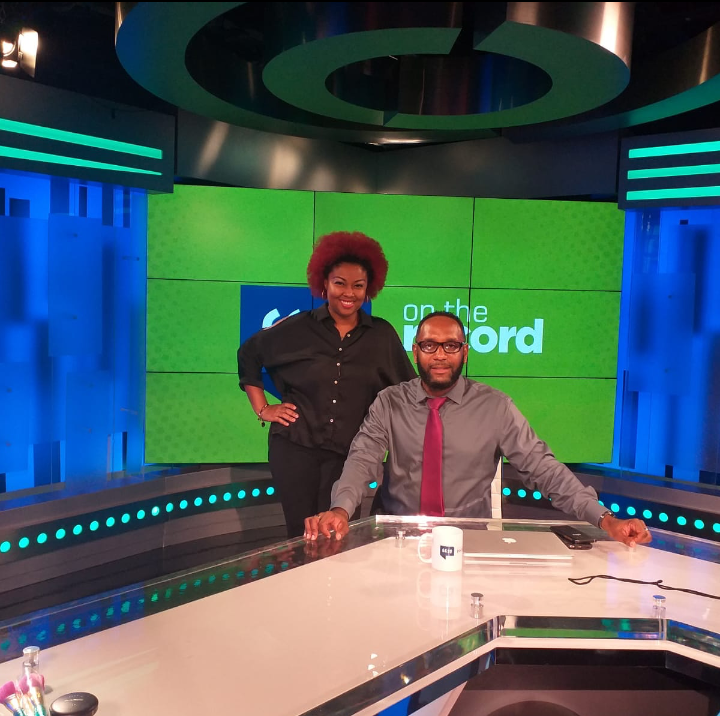 Nassau, The Bahamas (December 12, 2018) – What do you get when an award-winning filmmaker, a blogger, two talk show hosts, and a popular DJ get together? One of the hottest Marathon Bahamas TV commercials ever. Some of the biggest names on the local scene have come together to lend their talents to Sunshine Insurance Marathon Bahamas. Director for the commercial and filmmaker, Lavado Stubbs, is back for the third time, working with the organization. Stubbs, whose company, Conch Boy Films, is also a Bronze sponsor for the event, said he considers the commercial to be more than just a project. “What Marathon Bahamas and Susan G. Komen Race for the Cure Bahamas stand for is very powerful. I enjoy creating PSAs because you can use your medium to speak and have a voice. I want to show that film is a voice that can spark a change. It’s just amazing to be part of this kind of work because anything I do that is film related, I try to do it to inspire others,” he said. Stubbs’ Conch Boy Films is a boutique production company committed to developing and creating original content. 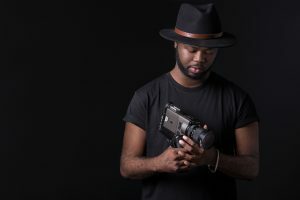 He said he wants to ultimately show young Bahamian filmmakers that they can create more than just films to deliver a message to the masses. 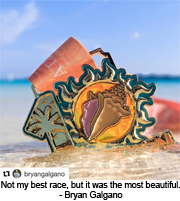 The commercial features different media personalities from across various sectors of media, showcasing them in their natural environment, while promoting the Marathon Bahamas race. One of those personalities is Jerome Sawyer, a veteran journalist and host of the weekly television show, On The Record. Sawyer said he is a strong supporter of charitable work and said while Marathon Bahamas is a great fundraiser, it more importantly, helps to keep the awareness high. “It is by far, one of the most well-organized, prestigious events of this kind in the country. The organizers ought to be commended for the job they do in pulling off and publicizing this annual event. I think the continued growth is a testament to the success of it,” he said. 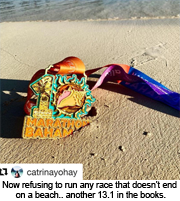 The commercial opens with Sawyer, who is featured on the set of his weekly TV talk show, playing the part of an overblown narcissistic TV personality, but making the point that Marathon Bahamas is inclusive and anyone can participate. Sawyer said he always welcomes the opportunity to lend his support to charity. “Being an artist, entertainer, even a journalist requires support. We rely on the public to support our work and careers. So it only stands to reason that when you are called on to help, you do the honorable thing and lend your time and talents. Celebrities and artists are recognizable faces who bring attention to whatever they do. So who better to get support out of than those who are already in the limelight,” Sawyer said. 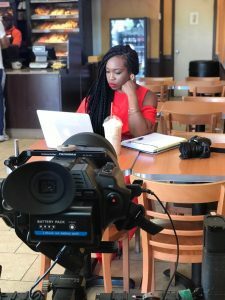 Travel blogger, Ianthia Ferguson, said her role during the project is to bring attention to the $10,000 prize purse that is being offered for the organization’s 10th year anniversary. Ferguson believes combining the influence and platforms of multiple local talents, definitely helps reach a greater audience. “I’ve always admired the work the team does in pulling off a great event. Every year I wake up and see my friends posting from the finish line or on the sidelines, I kick myself for forgetting to sign up,” she said. Other personalities included in the commercial include popular Guardian Radio 96.9 FM Radio Personality and host of the Free Ya Mind talk show, Renee “Empress” Davis, Happy Foods 242 creator and host, Sasha Lightbourne and KISS FM 96.1 radio personality, Kendrick Williams. With so many personalities to work with, Stubbs said he would not have it any other way because it makes for a smoother creative process. “All these individuals are used to being in the public eye, so filming is natural for them. Even though they are a mix of media personalities and they get direction from me, I wanted them to bring out their own personalities. Filmmaking can be a task and production is tedious, but they all are very professional and I appreciate them for giving me and this project their time,” said Stubbs. Marathon Bahamas will be celebrating its 10th anniversary in January. For the first time in its history, the organization is offering a $10,000 prize purse for its anniversary.